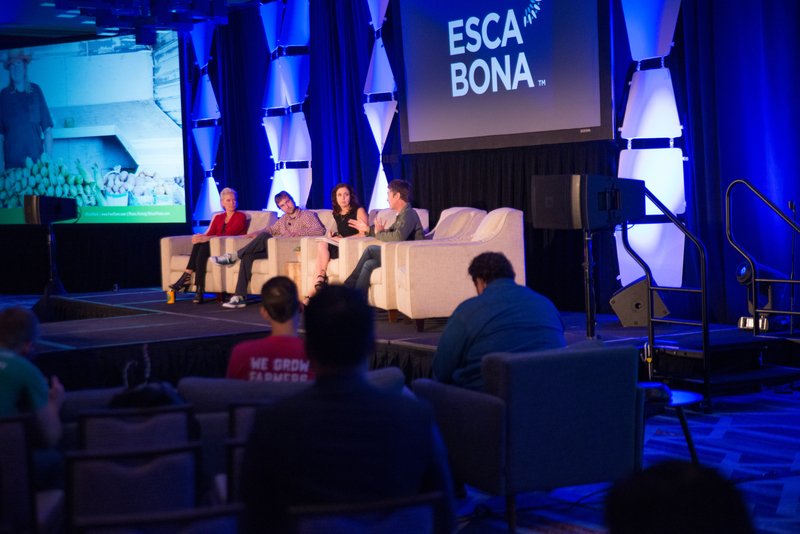 For three days, Esca Bona connected trend-setting entrepreneurs, game-changing technologists and visionary business leaders from across the food supply chain to work together to unpack the food access crisis. 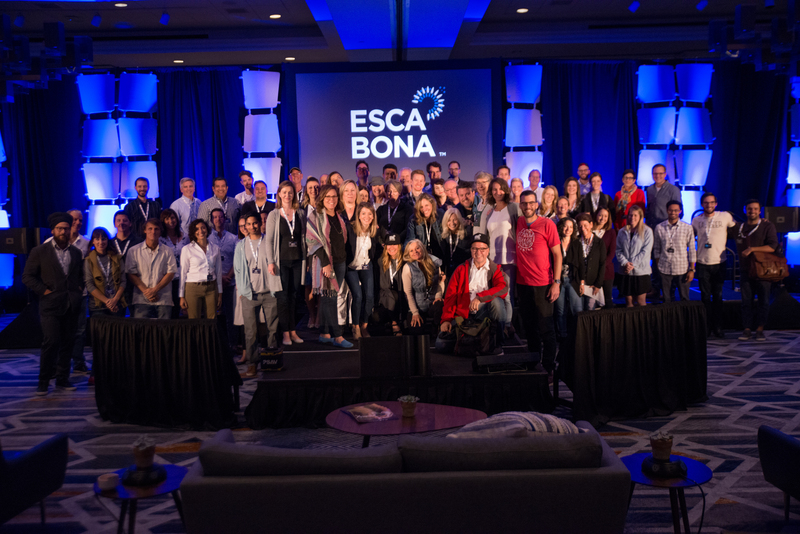 In its third year, Esca Bona remains a hub for collaboration, connection and partnership. 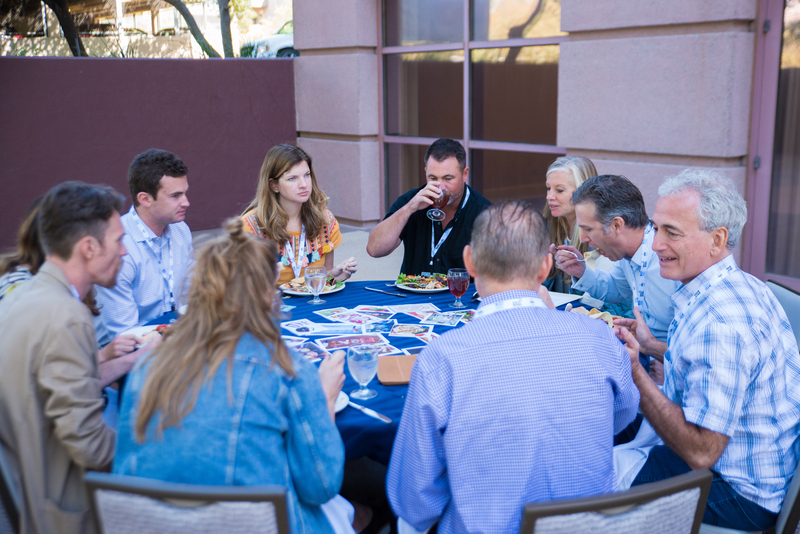 Attendees cultivated new relationships, friendships and ideas centered around creating a more equitable food future for all. Here are (just a few!) 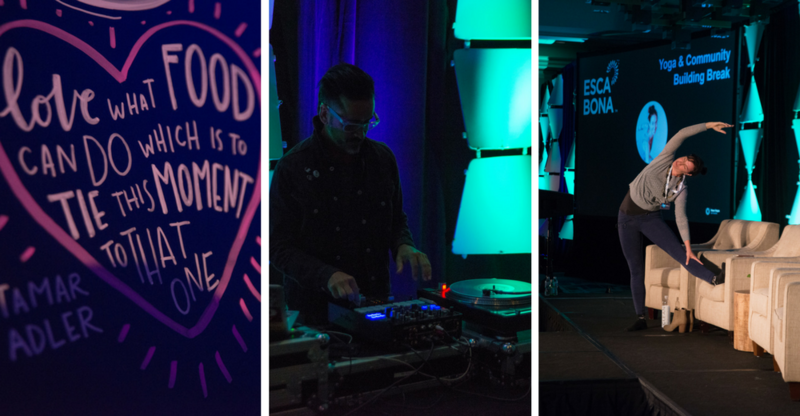 of our favorite memories from Esca Bona 2017. 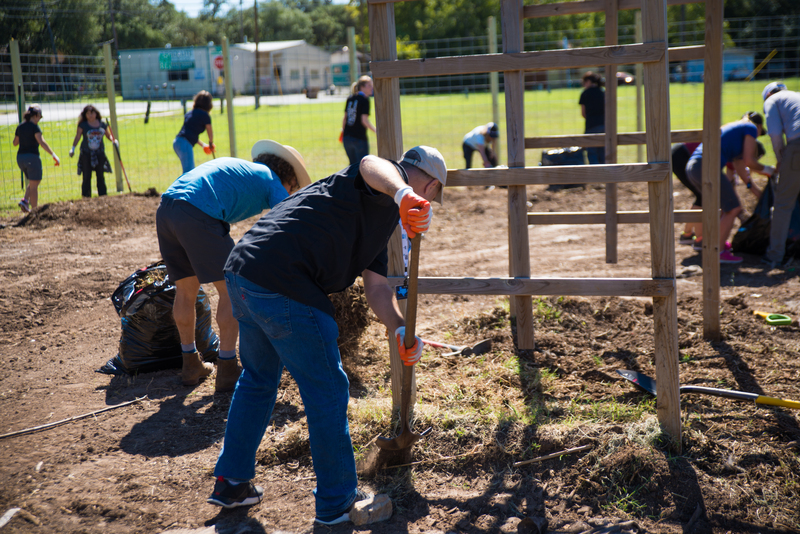 Each year, participants of Esca Bona have the opportunity to engage in a service project to serve the local community. In 2017, New Hope Network partnered with El Buen Samaritano on rehabilitating fencing around community gardens in their space. 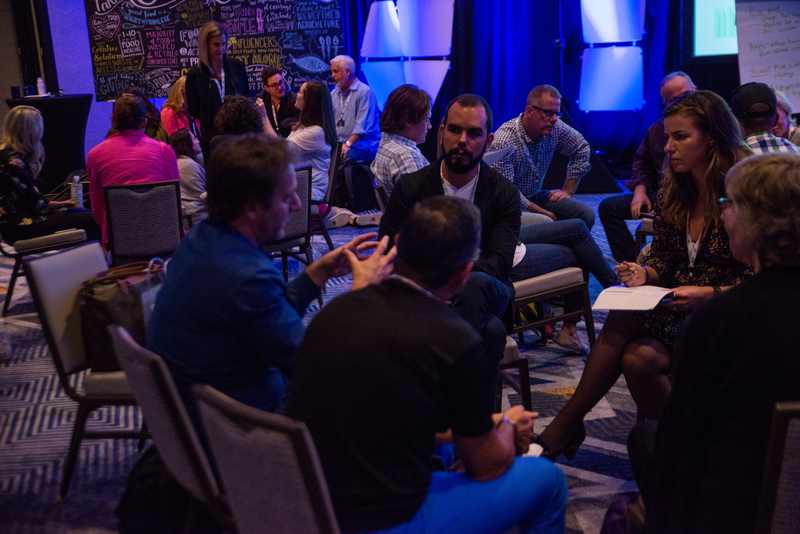 Year after year, this element of the program proves to be an important opportunity for participants to engage with one another and their commitments of service within the industry. Improving our food system takes courage. 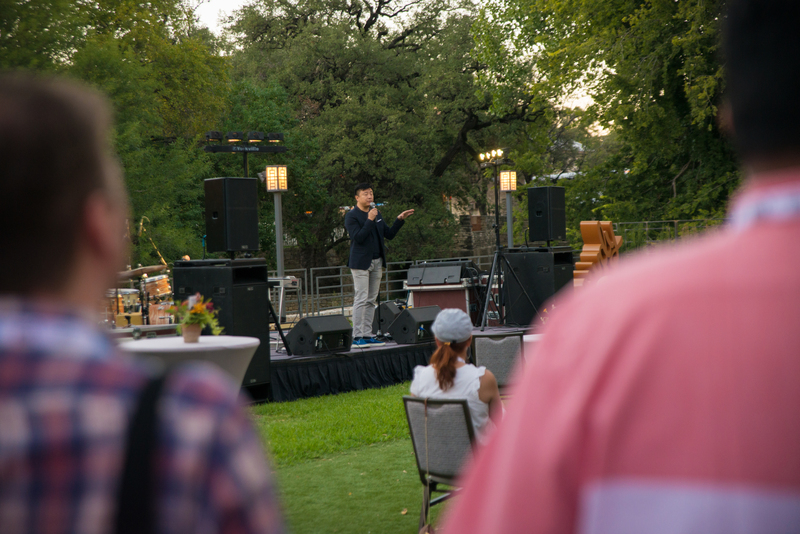 The Esca Bona 2017 kickoff dinner opened with a keynote address from Shen Tong, Founder of Food Future Co., focusing on his personal source of courage—how to find it, keep it and channel it when tackling difficult challenges. Food Educator Lauren Nixon helped participants explore the current state of our food system with compassion, empathy and understanding. Illustrator Annie Herzig beautifully captured compelling statistics and important takeaways from the stage. What we consume each day plays a powerful role in who we are. At our daily tables, we hold beliefs, passions, assumptions, preferences and stories. As a part of the Food Narratives Lunch at Esca Bona, we examined these choices together to find deeper meaning and strengthen community, trust and compassion. 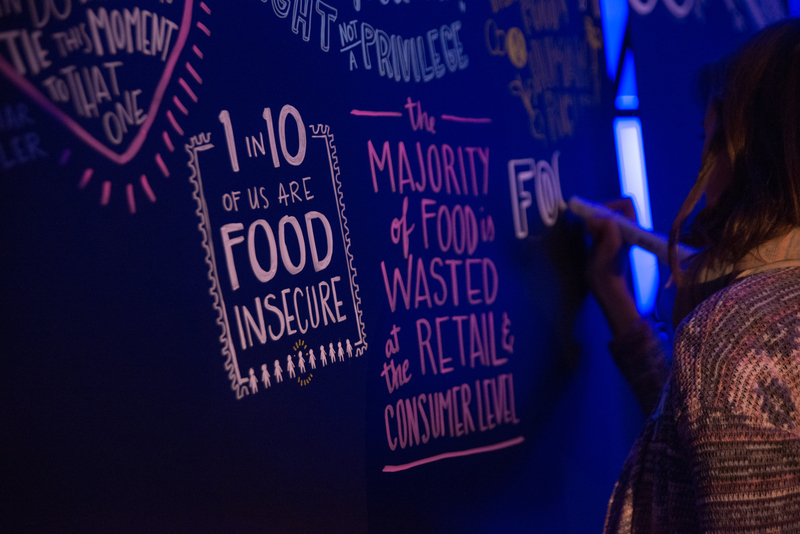 With the help of thought leaders, we explored the role of privilege, our individual food stories and different socioeconomic forces that shape our collective palates. Conscious Brands' Rob Sinclair helped six brands, partnered with six industry all-stars, present business challenges to the group, supporting the belief that many of the problems we face in our organizations and communities are shared or experienced by many and can only be more deeply understood in collaboration with others. This was an opportunity to harness the exponential power of collective thinking and to support business as a force for good, together. 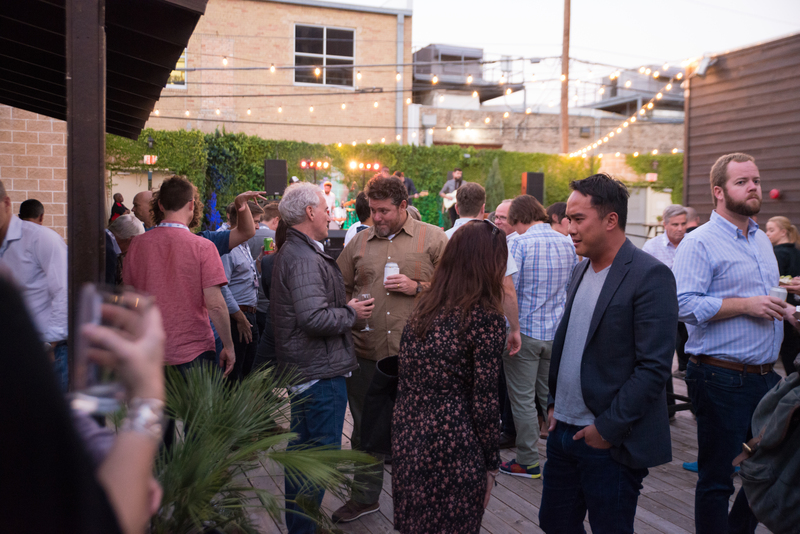 To celebrate Austin's local vibe, Tuesday's community dinner was hosted by Palm Door on Sixth, followed by the inaugural Esca Bona Bar Crawl. A warm Texas October evening, ping-pong and fellowship together made this a night to remember. What’s to happen if there comes a day when we have no new farmers and the 2 percent of Americans who currently work as ag producers leave farming too? In one of our many solution-focused sessions—Elizabeth Candelario (Demeter), Danielle Nierenberg (Food Tank), Lorig Hawkins (Middle Ground Farm) and Andrew Pittz (Sawmill Hollow)—dove into a conversation about why the natural products industry needs to cultivate and support a new generation of farmers and supply chain superheroes. Local Austin Yogi Zoe Mantarakis and our very own Esca Bona DJ Manny led participants in yoga and mindfulness breaks throughout to support intention setting and creativity. With so much change and uncertainty in the future of food, one thing is for sure: it will take big and small players working together to create a food system that's better for people, planet and profit. Errol Schweizer (Good Catch) led a conversation with Katie Forrest and Taylor Collins of EPIC Provisions on their experiences working within a larger organization who supports their mission. 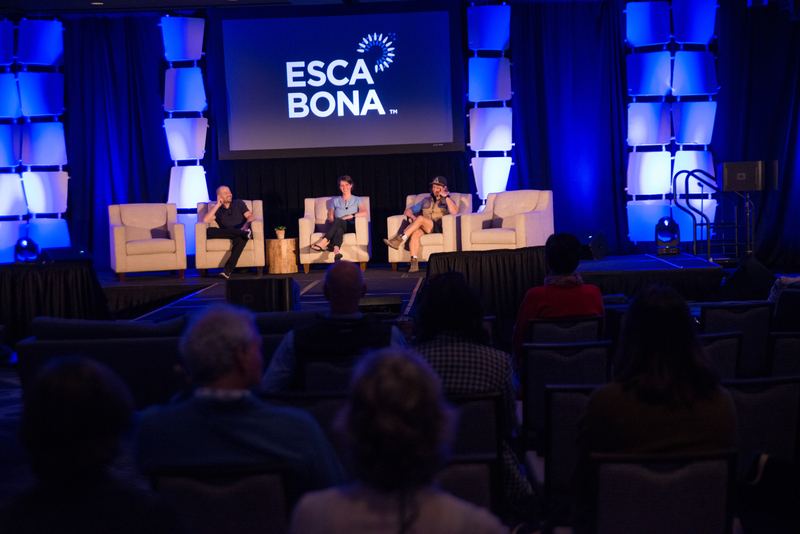 Esca Bona is not your average “sit and get” conference during which only the speakers do the talking and your only job is to listen. Our final stage was shared by participants, speakers and New Hope Network staff, invited to share their own personal and professional commitments to courage and change. It is our hope that these relationships and ideas extend far beyond Austin. We can't wait to see you next year! Don't miss the 2017 livestream. 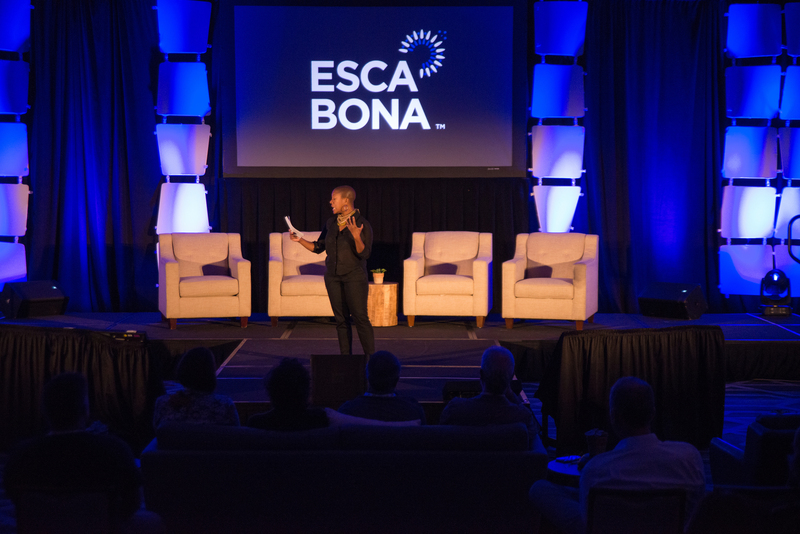 See you next year October 22-23 for Esca Bona 2018!